Here is a nice Personal Injury Article By Andrew Stratton . 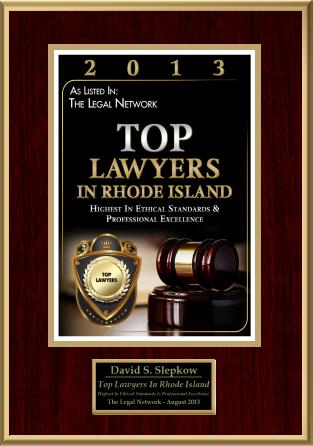 This article was reviewed by RI Accident Lawyer, David Slepkow 401-437-1100. When you’ve been injured due to no fault of your own it may surprise you to discover that the responsibly party doesn’t step up and honor their legal obligation to pay for your medical expenses and lost wages. It is an unfortunate fact that many people simply do not want to take on the burden that they have created for you, whether it is a dog attack or a car accident. Most of us don’t want to become a part of a long drawn out and expensive litigation process but most of us also can’t afford to lose wages because we are to injured to work or have medical bills that quickly become as high as the national debt. If you have been hurt you need to investigate what your rights are. 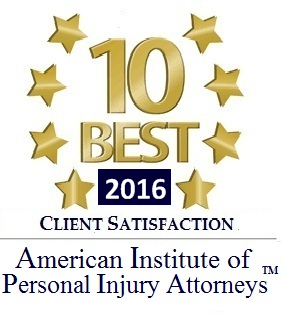 A personal injury attorney can help you understand if you have a claim and if so what the claim involves. For example if you are hurt at work you are employer may have you file a workers compensation claim, but that can be a long drawn out process and in the mean time you are out of work, injured, racking up bills with no compensation in sight, and the claim can be denied at any time. Or maybe your employer denies any obligation at all or offers you a small inadequate settlement for medical that won’t cover your losses. Before you agree to anything or waive your future rights you need to consult with an attorney that specializes in personal injuries and fully understand your rights. You may be entitled to a claim that includes current, past and future lost wages as well as current and future medical bills for needed physical rehabilitation. Your claim can also extend to your living expenses such as rent and utility bills and food. These aspects are often overlooked by people who are injured and don’t see the big picture, but they are not overlooked by the other parties attorney who may be at the emergency room before you even arrive waiting for you to sign off your rights. Many times the responsible party will attempt to have you sign a waiver releasing them from future claims and offer a small settlement that may seem big until you start paying medical bills and living expenses from it. Just like your car insurance agency tells you to never admit guilt in an accident, you should also never sign any legal waivers until you consult an attorney. Often times people don’t fully understand that an injury that can appear mild can led to the need for physical rehabilitation to recover from, and if you sign away your future rights to a claim those expenses will come from your pocket down the road. So if you believe you have a claim, you need to consult an attorney and discover if your claim has merit and what they can do to help you make it right. A personal injury lawyer can be very helpful and important in making the legal process as effective as possible. 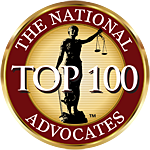 For more information, visit http://www.goldsborolawyers.com. The Rhode Island Supreme Court licenses all lawyers in the general practice of law, but does not license or certify any lawyer / attorney as an expert or specialist in any field of practice.